Crystal Cruises have released new images of their new “Diamond Class” luxury cruise ships, set to launch in 2022. Crystal Diamond will be the first in a new class of luxury cruise ships and will accommodate just 800 guests, and with a GRT of 67,000 gross tons, provide an exceptionally high space ratio of 83.75, the highest in the current cruise industry. 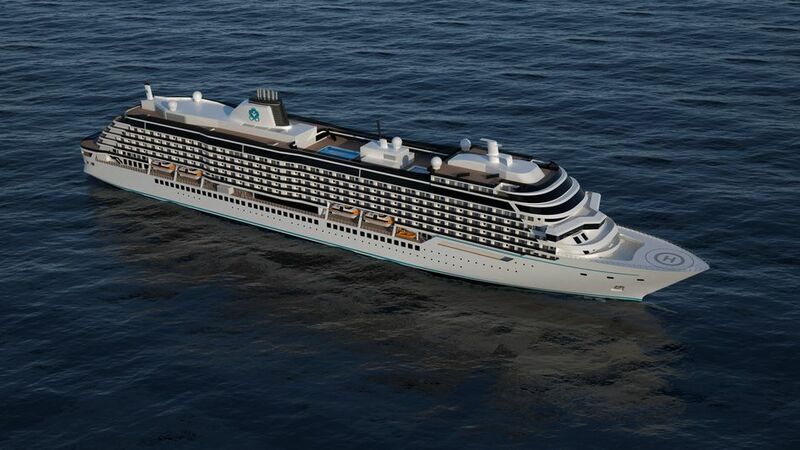 The ships will feature luxury design elements and exceptional amenities in line with Crystal Cruises’ award-winning Crystal Symphony and Crystal Serenity, and new-build river ships and expedition yacht, Crystal Esprit. “Our ocean ships are the heart of the Crystal brand and have been loved by our guests for more than 28 years,” says Crystal president and CEO, Tom Wolber. “We are delighted to expand this celebrated fleet with amenities and spaces that our guests have come to love along with more choices and new experiences that will take luxury to the next level. We look forward to sharing more details next year with our guests and travel partners. The Diamond Class ships will be built in Germany at the MV WERFTEN shipyard.